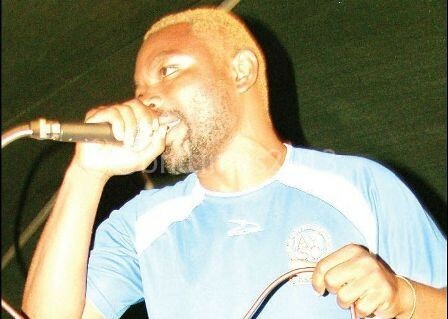 The Supreme Court has denied to grant bail to musician, Clifford Dimba, popularly known as ‘General’ Kanene on grounds that there was no special circumstance to warrant the court to do so.Supreme Court Judge Albert Wood in throwing out Dimba’s application said there were no special circumstances in his case to be granted bail, especially that he had not served substantial years of his sentence. This was in a case in which Dimba had appealed against the High Court’s decision that earlier denied him bail pending his appeal hearing following his 18 years jail sentence. This was in a case in which Dimba had appealed against the High Court’s decision that earlier denied him bail pending his appeal hearing following his 18 years jail sentence slapped on him by the same court. Dimba was sentenced to 18 years after the court found him guilty of defiling a girl under the age of 16 and this means that the convict would remain in custody until the hearing of his main matter next year.Mr Justice Wood also stated that the appeal hearing pending in the High Court would be heard in not more than two years, an indication that by then, the convict would not have completed serving his 18 years custodial sentence. “The appeal hearing against his conviction would not be heard after 18 years, it will be heard within two years, now here the convict has not yet even served substantial years of his sentence to warrant this court to grant him bail, let him wait for his main matter,” Mr Justice Wood said.But Dimba’s defence counsel, Treshford Chali said the matter had been heard by a single judge and would appeal against the judgment before a full bench of the Supreme Court. “We still have room for us to appeal, as you can see, this matter was handled by a single Supreme Court judge, we are going back to the drawing board to put our documents in place and appeal against a full bench,” he said.In an interview with Dimba before being whisked away in a police waiting vehicle after his matter, Dimba dispelled rumours that he had collapsed in prison saying he was still strong.“As you can see I am still strong, God is in control, I did not collapse, whilst in prison as speculated by people, it is not true, I welcome the verdict that is how life is, everything happens for a purpose,” Dimba said.